Simple yet superb, handy and important - "Don't go out in the jungle without it..."
It’s the survival and utility knife that would help you come out of the erratic of the wilderness and its harshness. This 6” long bladed straight knife is designed to tackle the unfamiliar and difficult situations one may go through when lost and alone, helpless and hopeless; hence the name. It comes equally handy for hunting, trekking, camping and for other outdoor adventurous activities too. The blade is highly polished so that reaction (mainly rust) can be prevented as much even when the blade comes hard in use in water or fluids. 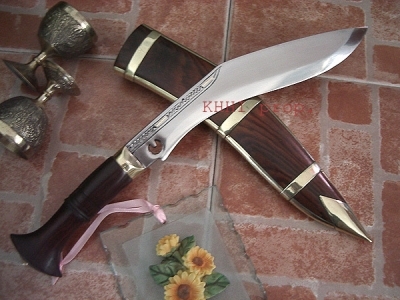 The unpolished handle is the source of the strength of this KHHI’s survival knife as it is unpolished for better and easier grip - the full flat tang technique boosted with rivets is applied with an aim to make the handle as strong as possible - and the handle’s shape is specifically designed so as to give stiff grip yet rest to the palm of the using hand. 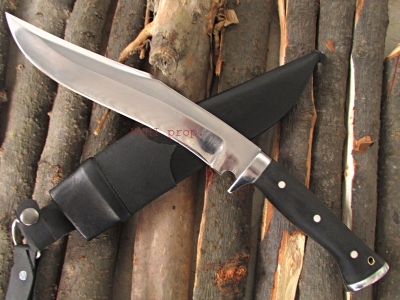 Survival knife (LIVE) has a special black KYDEX sheath fitted to better its performance and to make it a complete outdoor survival knife. It’s a perfect modern sheath that is very durable, water proof, compatible to various wears and kits and attractive at the same time. 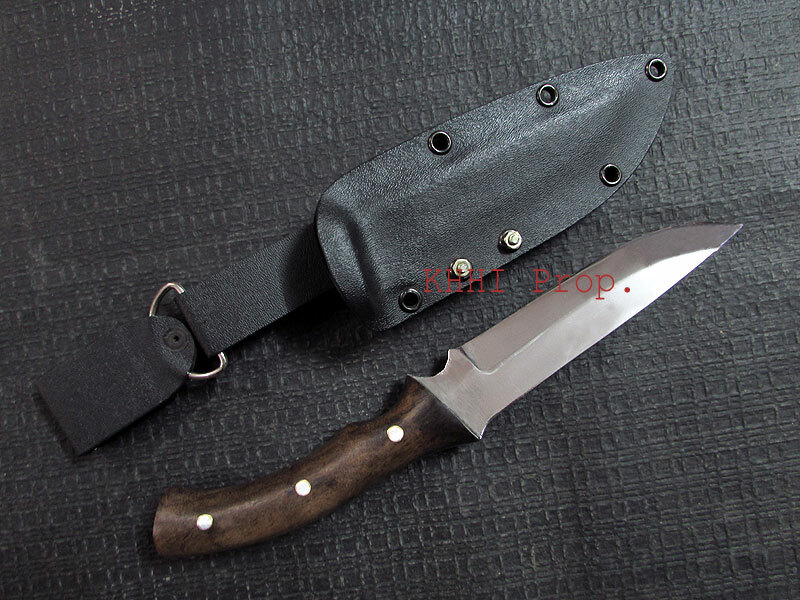 This special kydex sheath having a detachable leather loop carriage system that allows carrying vertically and horizontally from waist level adds value and usefulness to the knife. Kydex is a modern hard coated plastic (PVC) industrialized product that is completely water proof . It is a very good responder of heat. Kydex is a line of thermoplastic acrylic-polyvinyl chloride (PVC) material. It combines properties of both acrylic and PVC therefore it obtains rigidity, formability, toughness, chemical resistance, good interior and is completely water resistant. 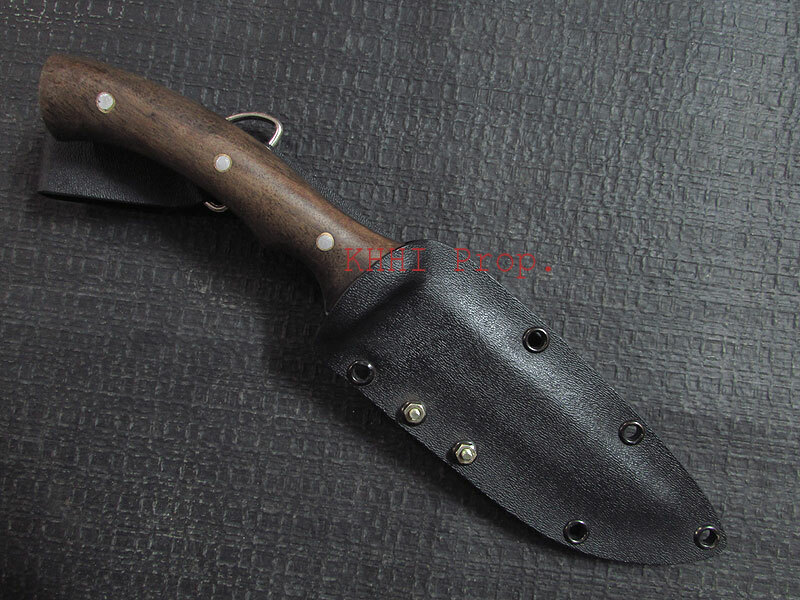 It is a perfect replacement of leather sheaths as it is lighter, cheaper, durable, holds better and also compatible to various armies’ wears and kits. It is scratch resistant and holds its shape better at the same time. All our kydex sheets and its materials are imported from the US. 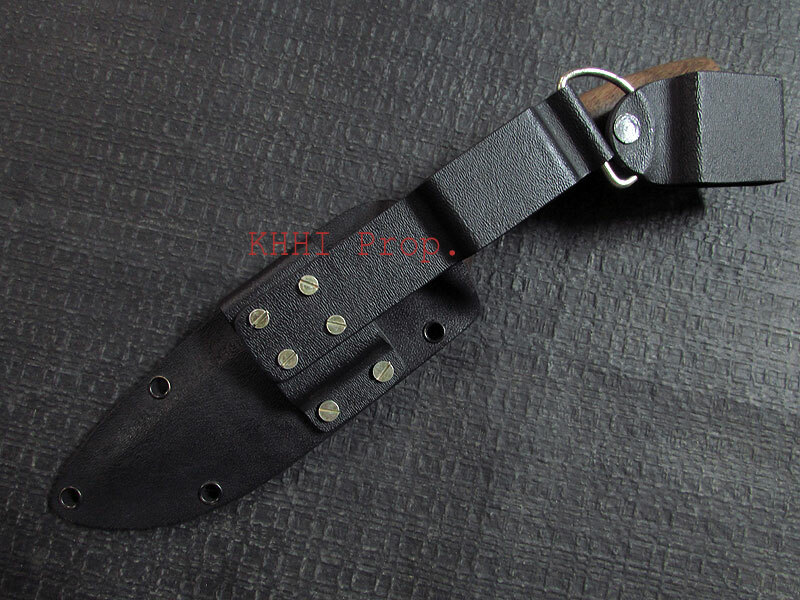 Kydex sheath is made for individual knife in a molding way by heating it to a certain temperature. Just received my knife ! Thank you I did not expect that quality it is absolutely beautiful and what a beast, recommendations all round.